In New York, the Chinese New Year has joined the Fourth of July-Halloween-Thanksgiving-Christmas quartet of holidays for which retailers and their marketing teams can have some fun with decorations. 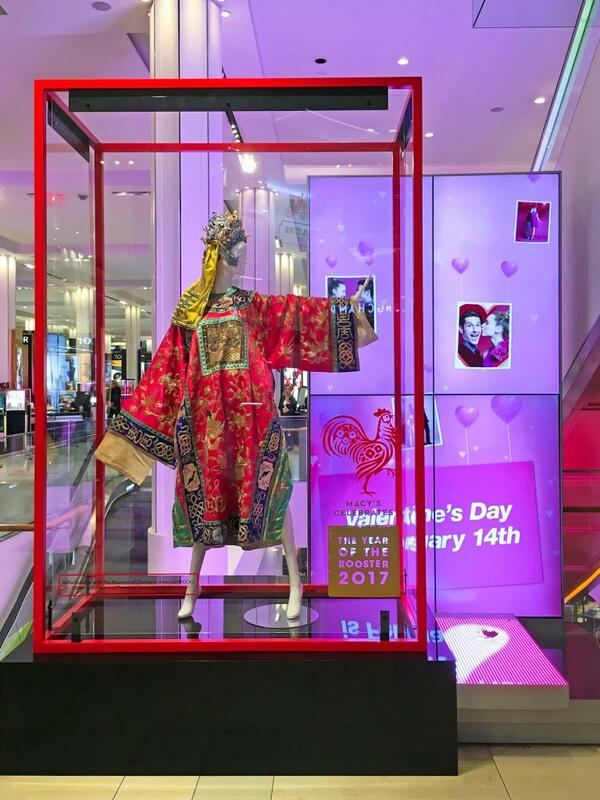 What started a few years ago with department stores catering to overseas Chinese shoppers traveling here during the Spring Festival holiday has blossomed into countless stores and brands capitalizing on the holiday with Chinese-themed displays and packaging featuring the Chinese zodiac animal of the year. Many Chinese — tourists and those from the Chinese and Chinese American communities in New York — have expressed excitement and appreciation for the holiday’s visibility. The annual parade in Chinatown and hearing the Cantonese phrase “gung hay fat choy!” (which seems to be much more common than the Mandarin version) are no longer the only things that remind people the Chinese New Year is upon us. We’ll never get to the flamboyance of the displays in China, but most the decorations and displays we see around town look pretty good. They’re usually made up of small papercut designs and red and gold color schemes. 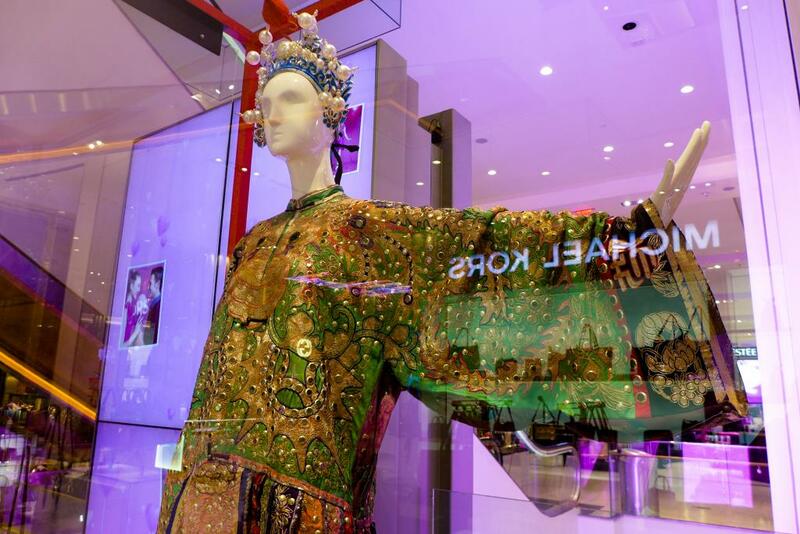 Macy’s Herald Square, renowned for their holiday window displays and interior arrangements, however, has more than a bunch of rooster strutting around. 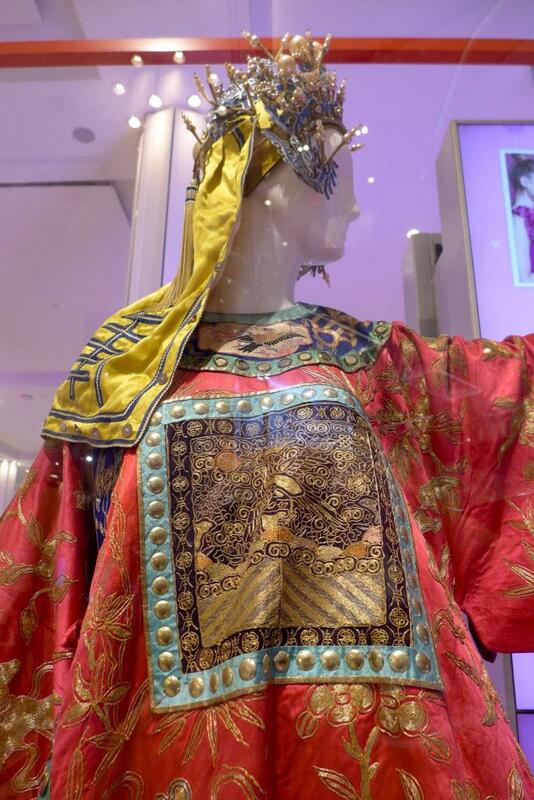 The distinguished their displays from others by including historical Chinese opera costumes and headpieces borrowed from the Museum of Chinese in America (MOCA). 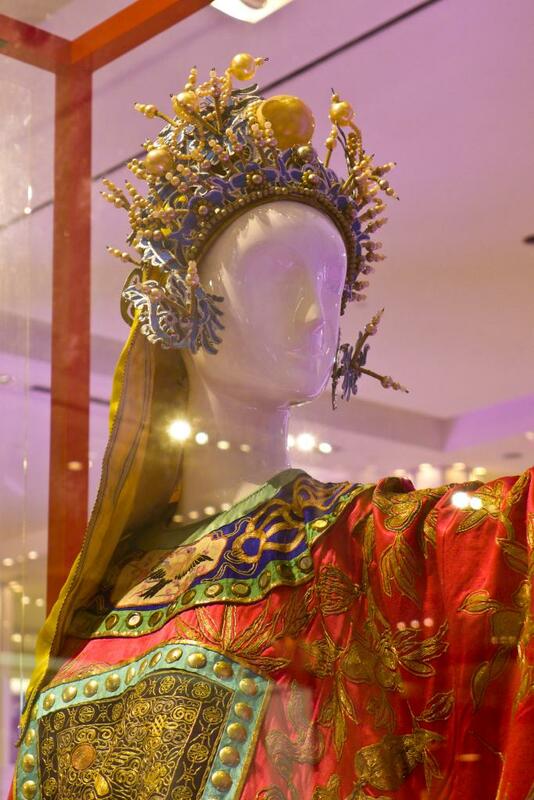 In early January, the Special Events Coordinator at Macy’s reached out to MOCA about displaying two traditional Chinese costumes for their Year of the Rooster festivities, but after visiting the museum’s archives, Macy’s ended up loaning four costumes from MOCA’s Chinese Musical and Theatrical Association Collection (of which it appears three are on display) and three headpieces from the Way Gar Wong Collection. 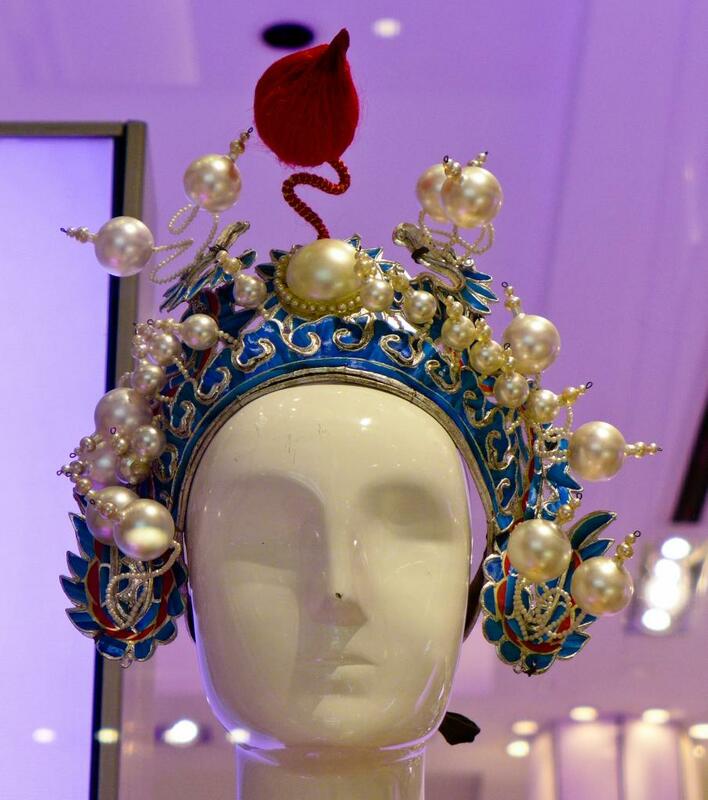 While these elaborate pieces were used in Peking opera performances are not directly tied to Chinese New Year traditions, they remind us of the intricacies of Chinese design (seen even in disposable paper Chinese New Year decorations) and the extravagance that is an essential element of Chinese productions like the CCTV Spring Festival Gala. 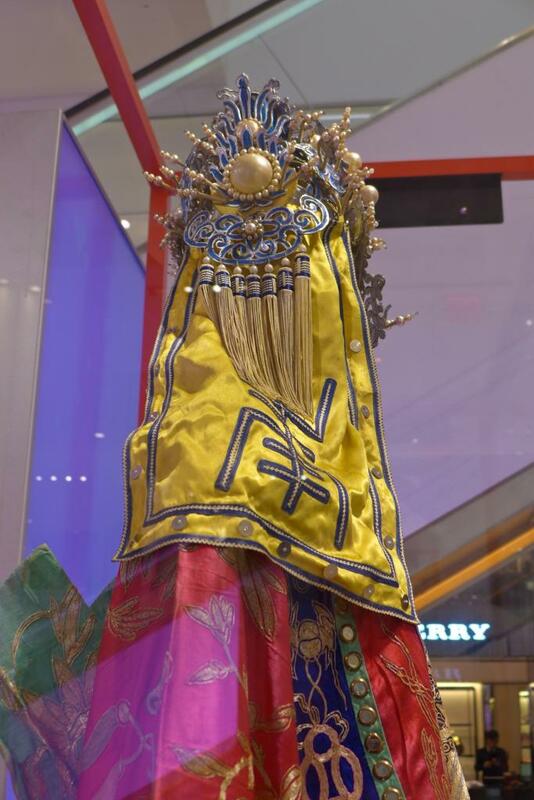 These costumes and headdresses, located on the first and fifth floors, stand out from the rest of Macy’s displays because of their sheer elegance. 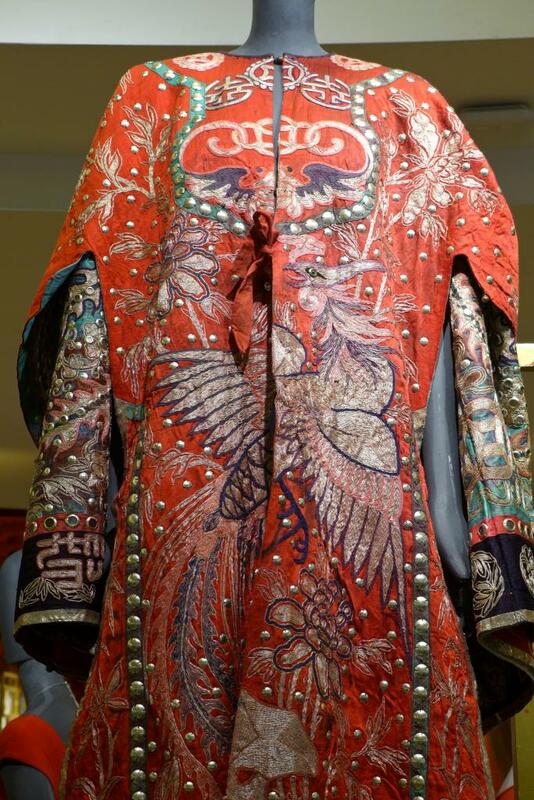 Their technicolor and shimmer accentuate the ornate designs, and up close you can see the craftmanship. They should not be overlooked as typical or conventional Chinese objects. While the partnership with MOCA is indicated in the displays featuring the artifacts from its collections, no further information is given about them. They actually reveal a little bit about the Chinatown community of the early 20th century. The Chinese Musical Theatrical Association, officially founded in 1931 and located at 24 Pell Street, was commissioned by individuals and community associations to perform publicly and privately for fundraisers, birthdays, and Chinese holidays, such as the national day of the Republic of China and Chinese New Year. Way Gar Wong was a Chinese opera performer who seems to have been active between the 1920s and 1980s. 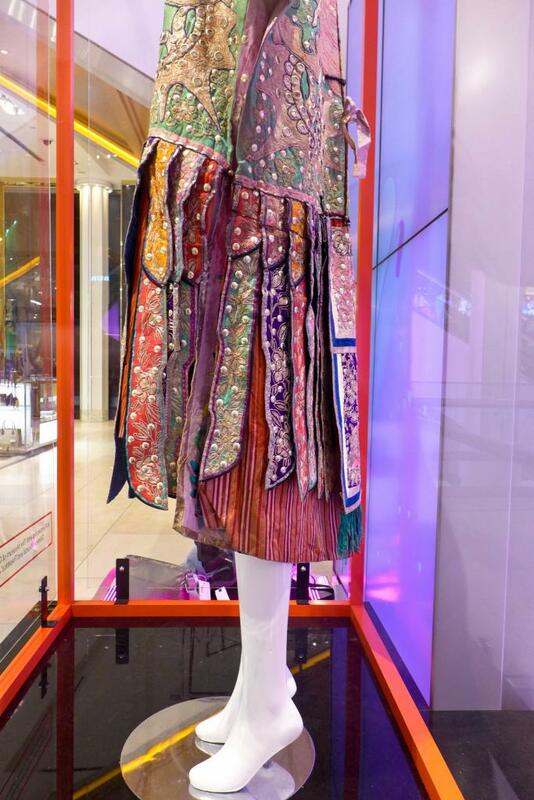 Imagine seeing these garments and accessories in performance! 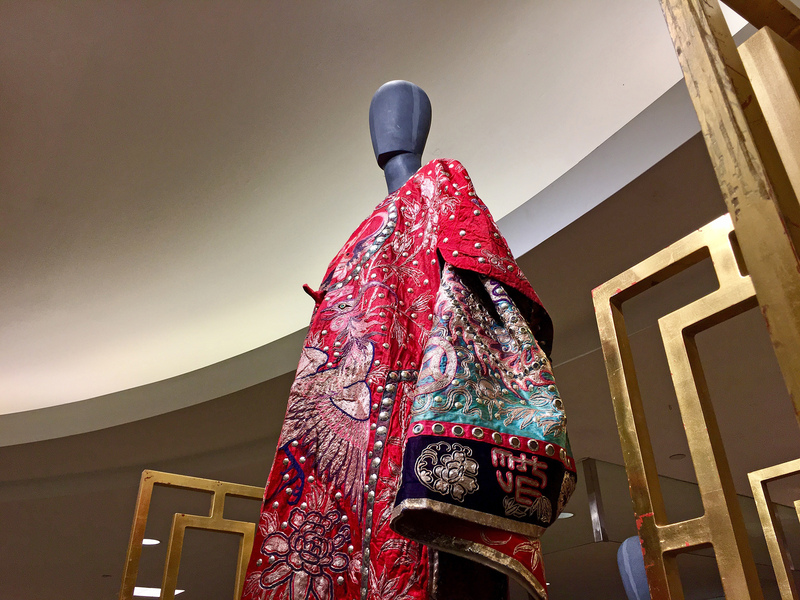 Use of these vivid costumes to evoke Chinese imagery may remind some of the Metropolitan Museum of Art’s Through the Looking Glass fashion exhibition which was criticized for perpetuating an orientalist fantasy, but they reflect a kind of Chinese pageantry, were used in performances by Chinese American performers, and are a welcome effort beyond perfunctory poultry shop window decals. 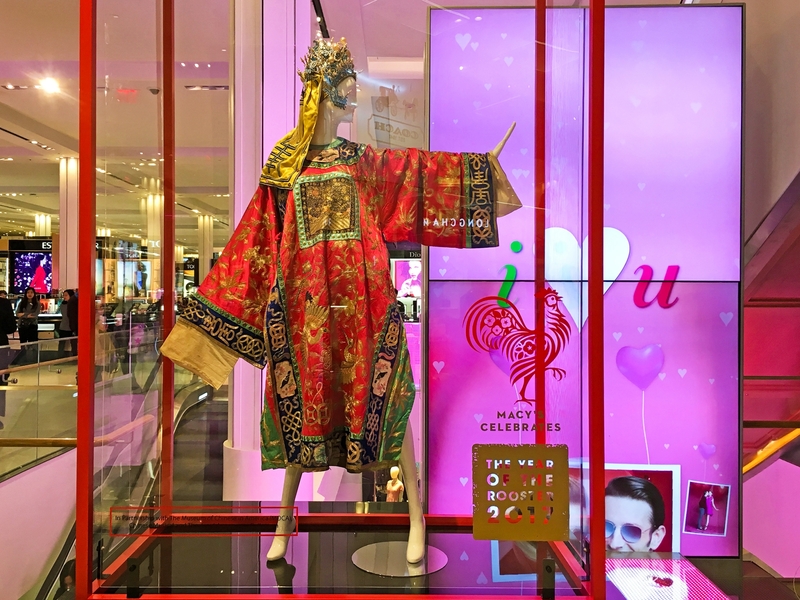 Macy’s is to be commended for collaborating with a Chinese American cultural institution to create its displays for a holiday celebrated in not just in China, Taiwan, and Hong Kong but also many Asian countries and their diasporic communities. 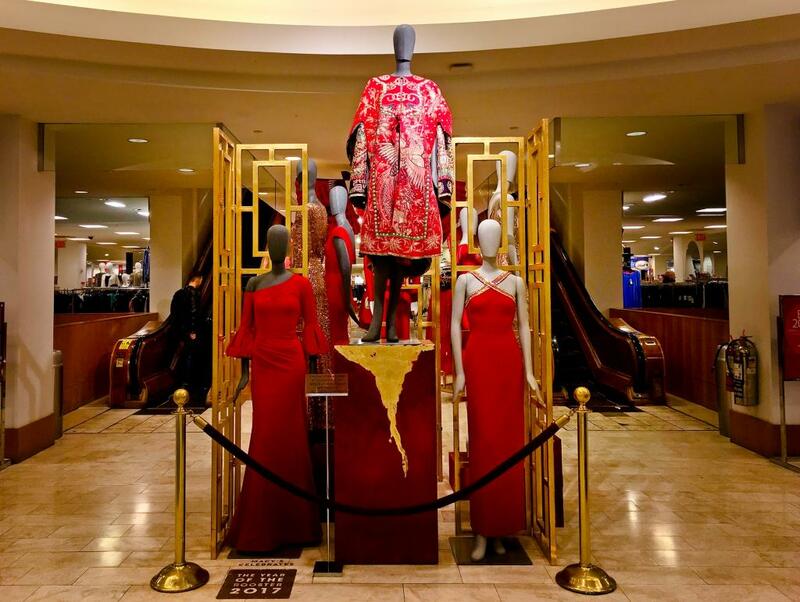 It’s not clear how long the displays will be up, but you can see them on the first and fifth floors at Macy’s on 34th Street at least through February 5.